SB original design Sensuality. Growth. Creativity. Vam is the mantra for the sacral chakra (svadhisthana). 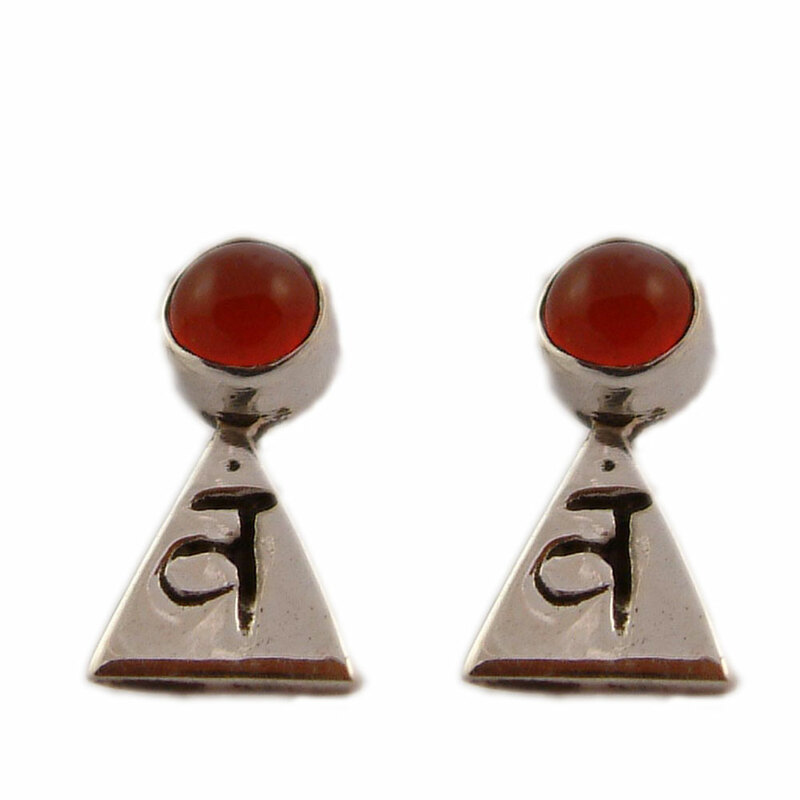 Stud Earring with Carnelian stone. Release your creativity and sexuality. Sterling silver. Made in India.